The hospitality industry is at the forefront of cashless payment as their customers are demanding faster, more frictionless service. These businesses need innovative payment solutions to differentiate themselves in a highly competitive market. With so many opportunities for customer interactions and potential sales, many restaurants, hotels, resorts, and casinos have multiple payment devices and systems at every point of interaction. That’s why it’s so important to work with a solution provider that not only has the technology to accept cashless payments for each and every hospitality use case or scenario, but also has the partnerships and integrations these businesses need to be successful. For decades, Canada’s leading hospitality businesses have relied on Ingenico Group to provide guests with a seamless and secure guest experience. Our mobile and wireless payment solutions free sales staff to leave the counter and engage with customers directly, creating greater guest satisfaction and increase sales opportunities. 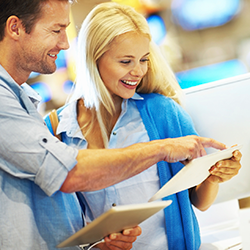 Our online and self-service capabilities ensure faster check- in / check-out and increase hours of operation. In addition, our solutions accept payment from anywhere in the world, enabling seamless online booking and reducing the complexity of cross-border transactions. We act as a hub for companies with a global online reach, including some of the world’s largest hotel chains. Offering a full range of innovative payment acceptance solutions for all hospitality environments, Ingenico Group can help you identify and implement the right technology to support your business strategy - giving you the competitive advantage you need to grow and succeed. Create endless opportunities for your guests with our​ Smart Terminals. 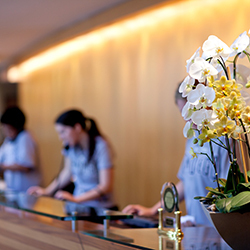 Enhance the guest experience in all areas of your hotel with our Mobile Solutions.